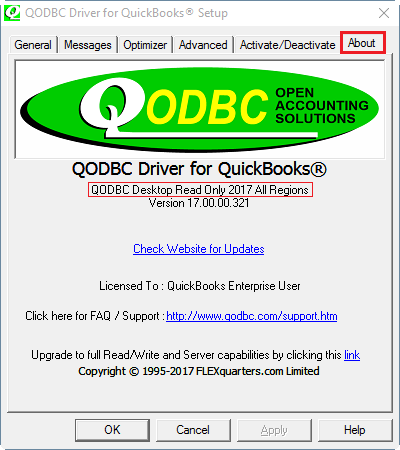 I am using QuickBooks Enterprise & I want to use QODBC read only edition for QuickBooks Enterprise. 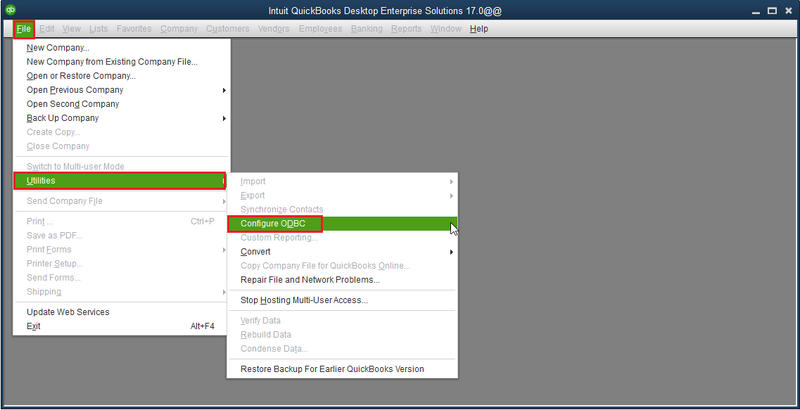 How can I install QODBC read only edition for QuickBooks Enterprise Edition? After downloading QODBC, Install QODBC on your machine. If QODBC is installed properly, then QODBC Setup Screen will open. Navigate to "About" tab & you will see QODBC with 30-day evaluation. QODBC is installed on a new machine it starts with 30-day evaluation (All features are active). 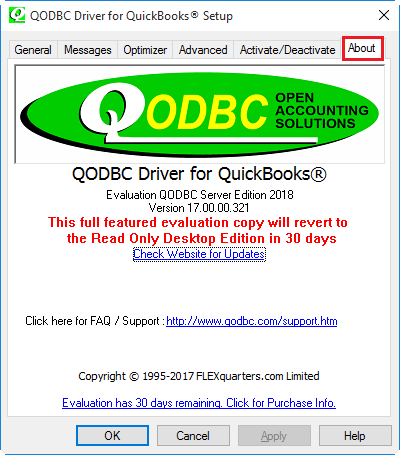 QODBC evaluation version will turn to Read Only edition for QuickBooks enterprise edition – automatically after 30 days. After 30 days you will see "QODBC Read Only 2017 All Regions" in "About" tab.